By: waterfall December 2 2017. Glass indoor fountain. Great for custom homes, offices, patios, bars, restaurants, and hotels. 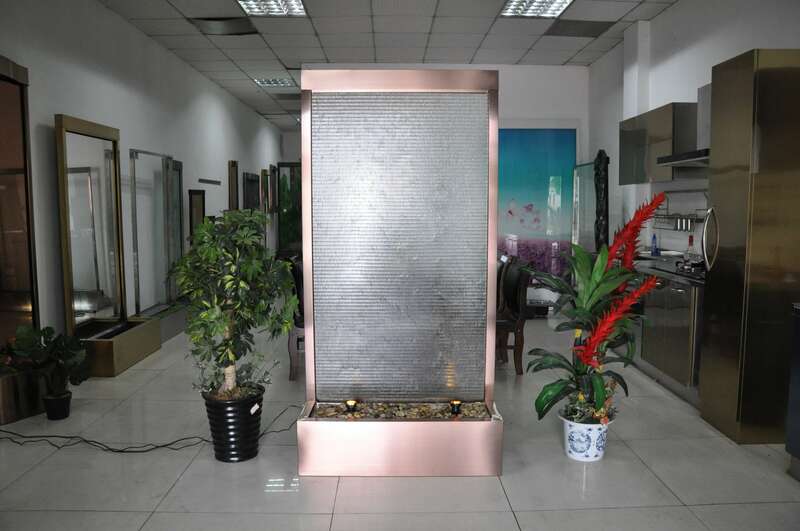 This fountain can be used in an existing wall and framed on the sides or as a stand alone piece in the center of a room. The relaxing white noise of falling water helps to calm the mind and create a peaceful environment. This premade fountain can be framed in during construction to create a water wall. This product is absolutely delightful. They are very easy to set-up and only takes a matter of minutes to get running. Lower Mainland residents have option to choose from several colors of polished river rocks. Tested prior to delivery for quality assurance. Large pump filter with a secondary micron filter. Heavy duty water flow valve to adjust water pressure and speed. Even stainless steel water distribution system ensures full coverage without requiring constant adjustments. Already have a quote? Use our spot rate form to order your parcels.